Kris-Tech Wire strives for excellence in everything that we do: service, quality, and relationships. Kris-Tech Wire was founded in August 1984 in Rome, New York. In 2016, we built a new, state-of-the-art manufacturing facility and headquarters that will position us for continued growth, and more impact in our market. Kris-Tech will always stay committed to those values that have set us apart: quick order fulfillment, excellent and honest customer relations, and continued involvement in our community. These values set us apart, and provide premium, niche service in a competitive marketplace. We are a vertically integrated wire manufacturer. 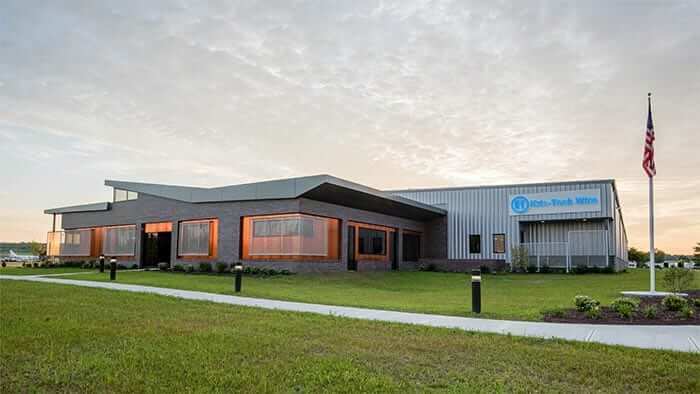 We produce all material at our Rome, NY headquarters where we draw, anneal, and twist copper rod into multiple wire gauges, which are then insulated with various plastic compounds. We serve commercial building, water and gas, solar, and explosives industries, among others.